T.R. 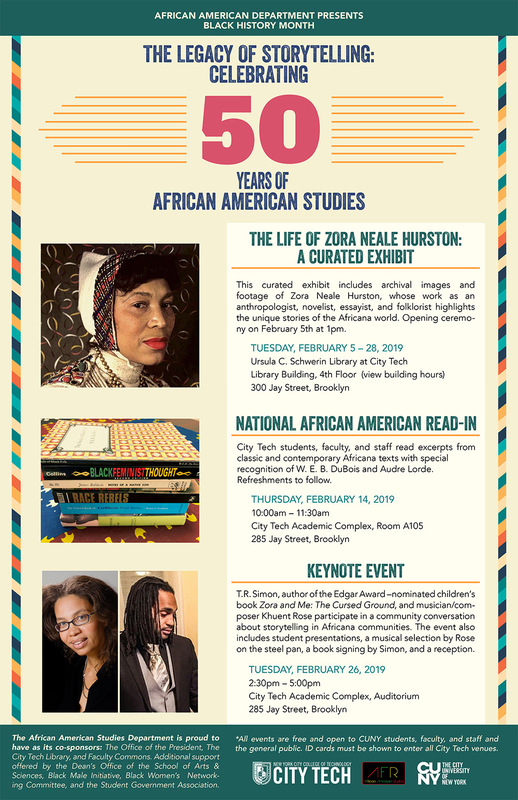 Simon, author of the Edgar Award –nominated children’s book Zora and Me: The Cursed Ground, and musician/composer Khuent Rose participate in a community conversation about storytelling in Africana communities. The event also includes student presentations, a musical selection by Rose on the steel pan, a book signing by Simon, and a reception.